Hello everybody, its a long gap that i have not written a post in my blog. This post could be my last post in 2015. today we are going to see how to integrate Spring’s one of the best feature Spring Boot with Spring data and MongoDB. Spring Boot:(courtesy Spring.io) Spring Boot makes it easy to create stand-alone, production-grade Spring based Applications that you can “just run”. Most Spring Boot applications need very little Spring configuration. Now let us create a project that can integrate the above mentioned technology stack. 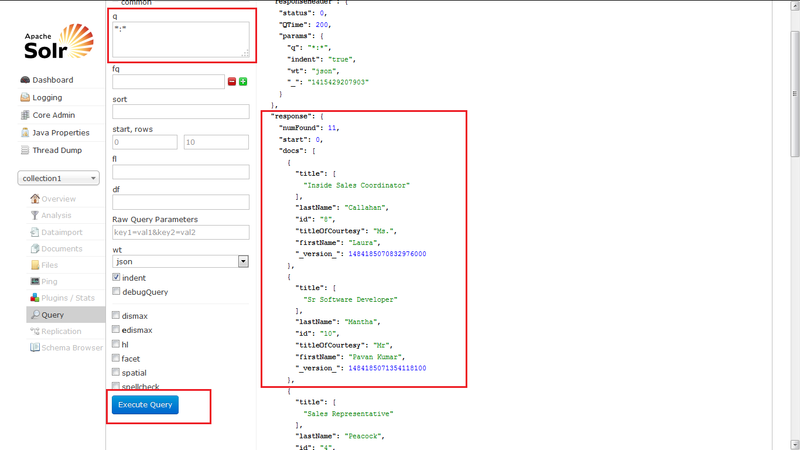 Step 4: create the controller class which can handle the request coming from client. in this example the controller is called GlobalController.java. The controller class is autowired with MongoTemplate Object and StudentRepository, so let us create StudentRepository so that it will get injected into the controller, when the class loads to spring container. MongoTemplate is readily configured in the AppConfig.java file. 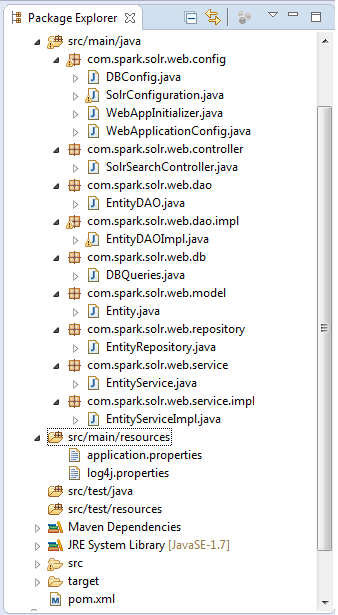 Step 5: create the repository interface which will extend the MongRepository<T,ID> interface from spring library. that’s all guys we are done with coding part. Its time for us to run the project. once you ran the project with out errors then below is the kind of output that can be seen on console. now open the REST-client add-on either in chrome or firefox and test your services. 2014 in review..Thanks to every one for making my blog successful. Hello folks, for a change in the week end i started reading .Net, as a programmer i should appreciate both the legendary languages(Java, .Net) some have i was attracted to the beauty of one of the .Net’s feature called LINQ. 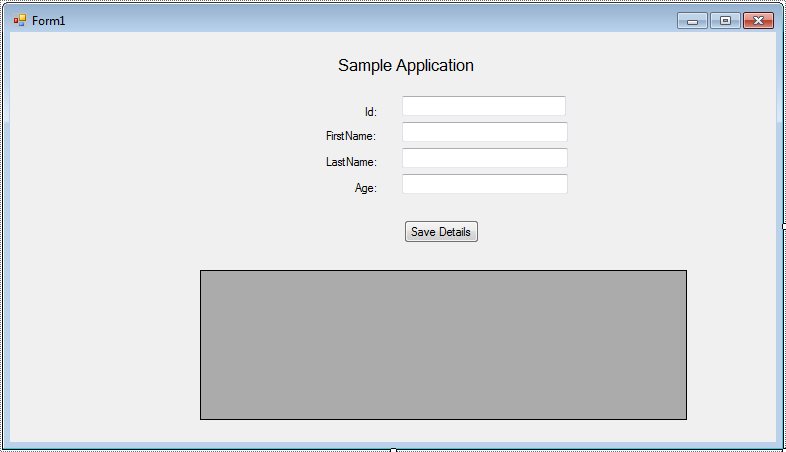 after creating the database from the visual designer of the VisualStudio please create the following screen. now its time to create the LINQ class inside the project create a file called “LINQ to SQL” and drag and drop the table in this file and it looks as below. 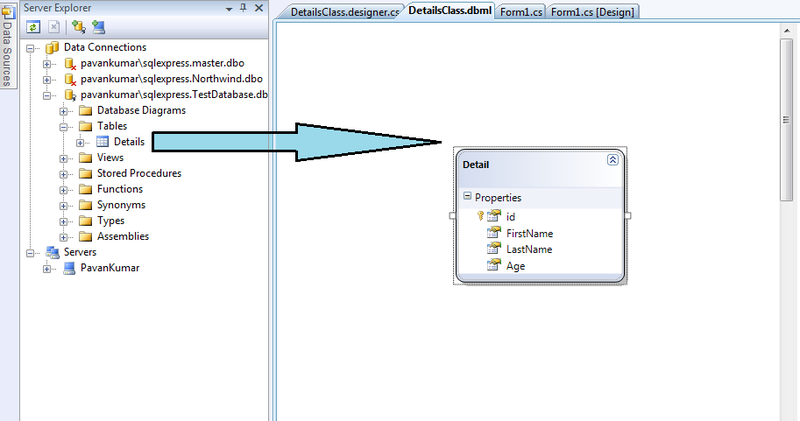 now copy and paste the following code snippet into the button handling method as shown below. Also in the Form_load method please write the following code as below. 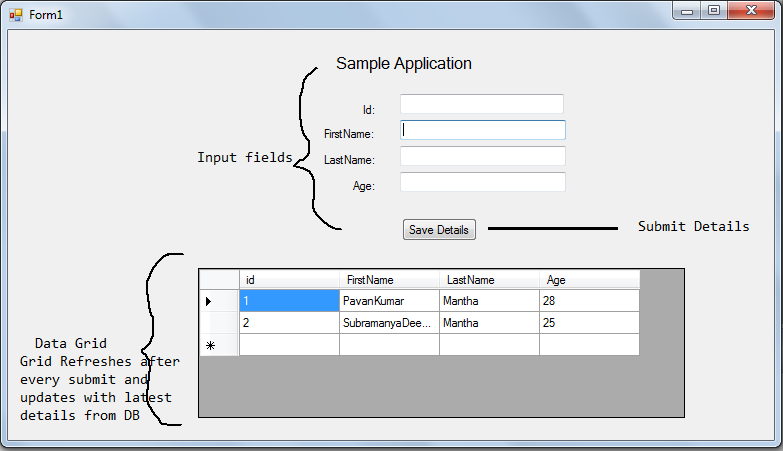 this helps to query the database at the application load time and populate the DataGrid. Finally aour application is ready to use and this looks as below. When i started using EJB2.0 the only way to query the database is to use EJB QL(EJB Query Language) later on with the introduction of JavaEE 5.0 the EJB QL is Replaced by JPQL (Java Persistence Query Language). Now in today’s world, There are two primary Java EE technologies for querying a database: Java Persistence Query Language (JPQL) and the Criteria API. JPQL is similar in appearance and usage to SQL while the Criteria API provides a more type-safe and object-oriented entity querying capability.JPQL is based on the Hibernate Query Language (HQL) and is a subset of HQL. It is portable and allows queries to be executed against different data stores. This is in contrast to the use of a native query where the query is expressed in the native SQL of the data store.Another older, yet still viable technique is the Java database classes and interfaces found in the java.sql package. Welcome to “Race of Java”! This is my very first post. Use this blog to enrich your java skills. I plan here to post all the different technologies that i use as part of my development and as of my interest.